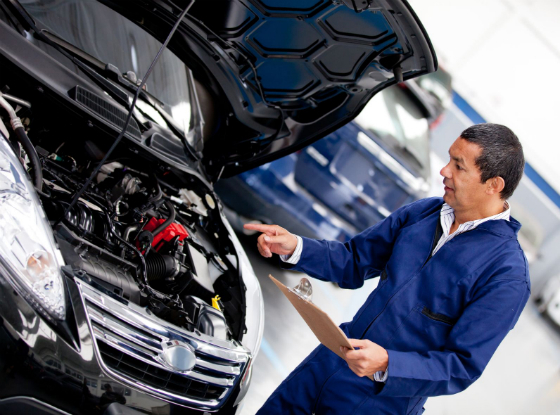 With every new car purchase, owners in New Jersey are provided with a vehicle manual that provides all the possible information needed to operate, drive and maintain the car throughout ownership. However, with older vehicles or used cars, finding the manual may not be as easy. It is very likely these cars, particularly if purchased from a private seller or a smaller car lot, will not have the manual or the information on the recommended maintenance schedule from the manufacturer. While each specific model and make of vehicle will have its own recommendations for car maintenance, there are some general milestones and mileage limits which will be universally noted as key points to ensure oil change, tune-ups, tire rotations and even brake checks are completed. Ideally, tire rotation should be completed every 5000 miles as part of the car maintenance schedule. As this often works well with the oil change schedule, it is easy to remember. Tire rotation is not a difficult process and just takes a few minutes. It will help to increase the life of the tires and help to reduce the risk of unexpected flats due to unusual tire wear. The type of oil used in the vehicle will be essential in considering a car maintenance schedule. Most oil that is non-synthetic should be changed every 3000 miles. Synthetic blends of oil are usually rated for 5000 miles or more between changes. While not a mechanical issue, wiper blades are an important part of car maintenance for visibility and safety reasons. They should be replaced at least once a year, and they can easily be changed during a routine oil and filter change. It is highly recommended to track down a manual. These are often available online through the manufacturer, or they may also be available in hard copy through different online auction sites. New Jersey drivers should have no difficulty in finding manuals for both foreign and domestic vehicles.